The copper tea kettle of Azmaya has modern, but classic atmosphere. The beautiful pink gold gloss will turn to tender amber color by your use. The copper kettle of Azmaya has cute rounded form and modern smart design. 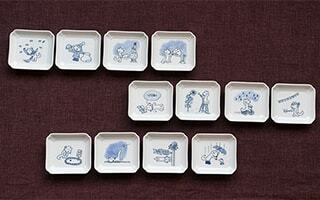 It is new, but nostalgic somehow. 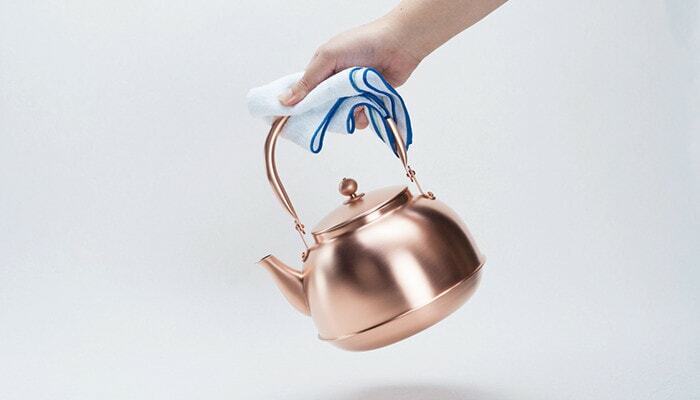 The more you use, the more you love this copper tea kettle. Please enjoy the usability and its gradual change as time passes. Impatient for a tea time or coffee break! 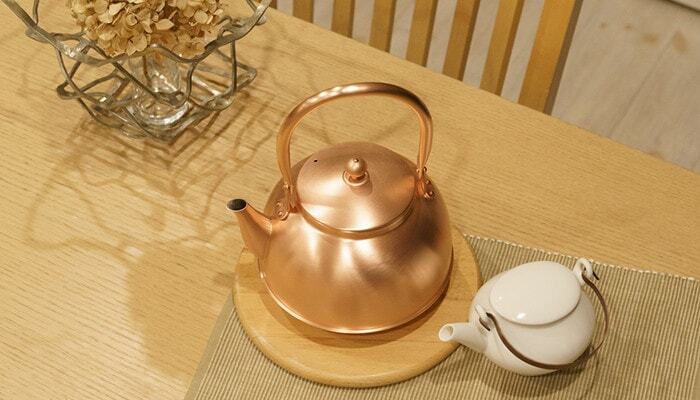 Happy tea time or coffee break starts with boiling water with the copper tea kettle. 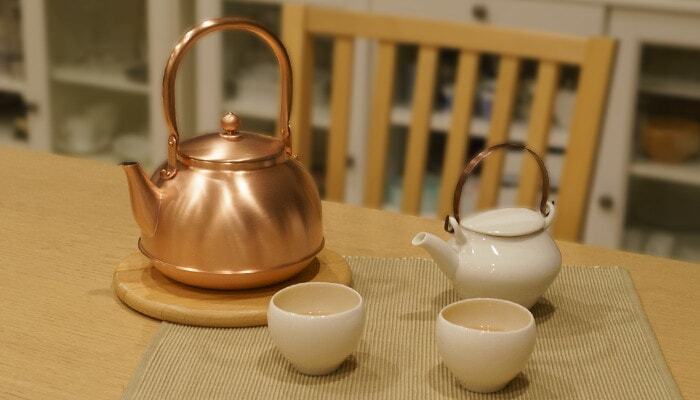 The cute copper kettle of Azmaya is the best size for boiling water for tea or coffee. 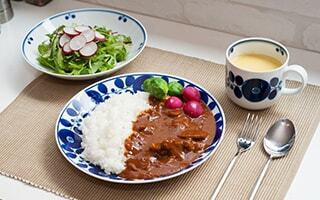 We can feel our heart relaxed with the steam from the kettle. Beautiful pink gold color of the copper tea kettle fits various teas or coffee. 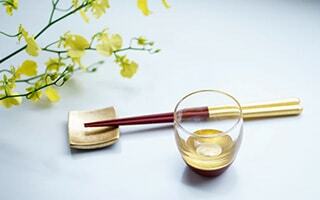 For Japanese green tea, black tea, or coffee, the copper kettle gives special atmosphere. In addition, you can enjoy the color change over the years. You can make your own antique copper kettle. 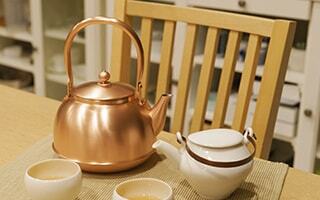 In fact, copper tea kettle has been popular in the home of black tea, the United Kingdom. The spout of the kettle is made carefully. Therefore, you can pour the hot water narrowly. Also, the spout is hard to drip water. If you would like to make pour over coffee, you will be satisfied with the usability of the copper kettle. 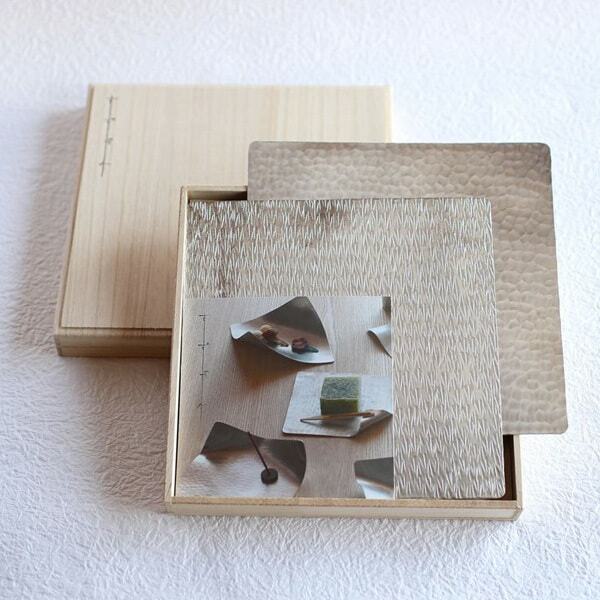 You can enjoy the copper tea kettle not only in the kitchen, but also on the table. 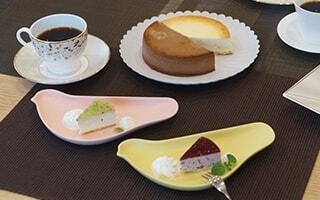 Since the kettle has very beautiful color and cute form, your tea time would be happier with it. We can feel the delicate work from the copper kettle of Azmaya. 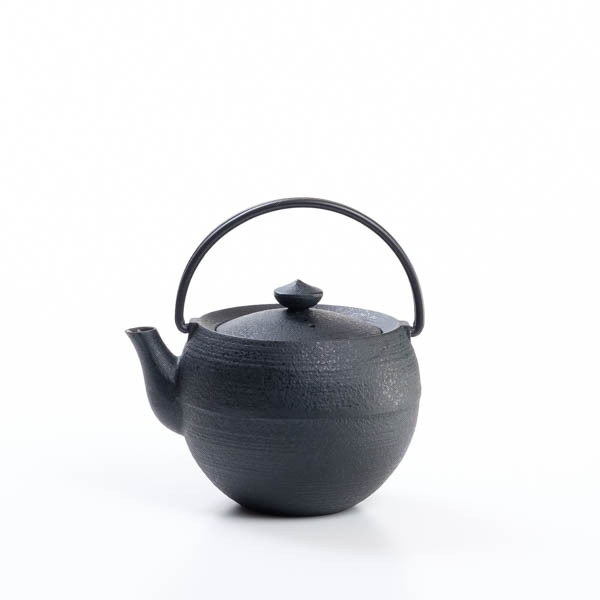 This copper tea kettle is stylish, and shows the beauty of Japanese handwork. 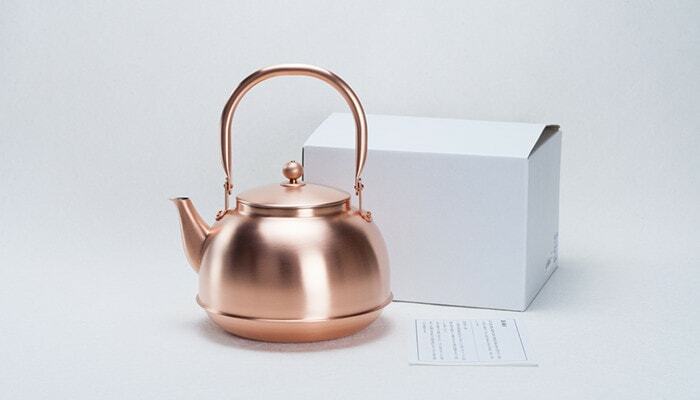 The brand of this copper tea kettle “azmaya” has a reputation for its simple, high-quality, and long usable items. 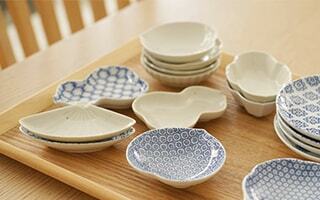 They produce Japanese traditional crafts, daily goods or tableware to fit modern lifestyle. * Depends on the pictures, the copper tea kettle looks gold due to the light reflection. However, the first copper kettle has pink gold color. 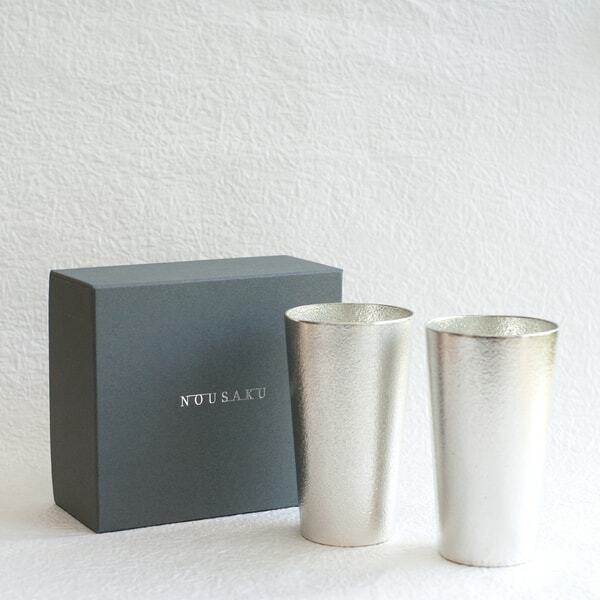 Sinkoukinzoku is a metalworking factory in Tsubame city of Niigata prefecture. 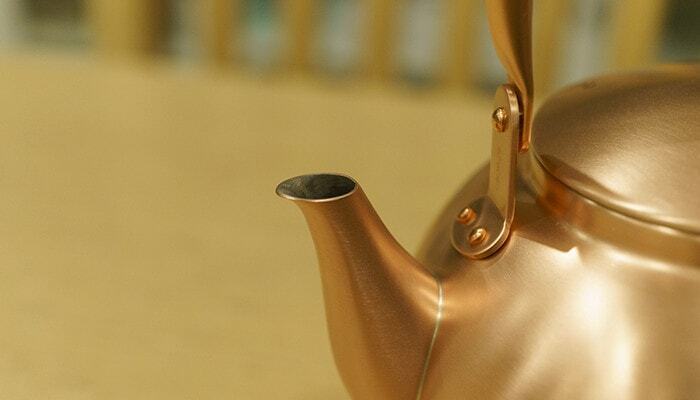 The copper tea kettle of azmaya is produced by Sinkoukinzoku. Since its establishment in 1983, they continue to produce products with safety, functionality, quality and good design. 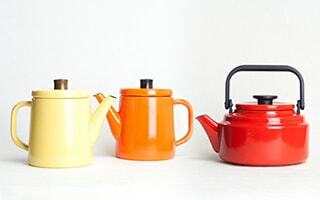 Their metal kettles won many awards such as Tokyo METI (Ministry of Economy, Trade and Industry) Minister’s Award, and selected as Good Design Award. We can see the logo of “Sinkoudo” and azmaya at the handle of the copper tea kettle. When the copper tea kettle of Azmaya is filled with water, it will be 2180ml (about 73.7 fl oz). 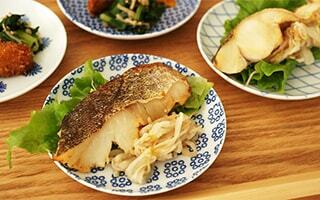 Usually, you can boil about 1L (about 33.8 fl oz) water. This “1L” is the best size, not too much nor too little. The appropriate size and comfortable weight of the copper kettle fit our hands. For one person, it is not too big. 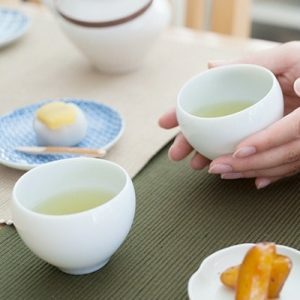 For a family of 3~5 members, you can boil enough water for tea or coffee to all members. 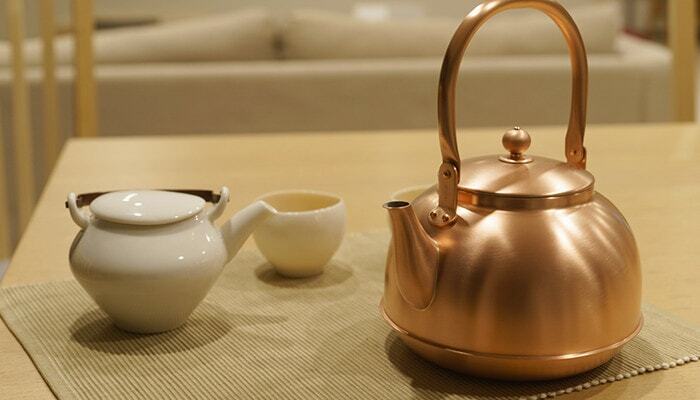 The smooth surface and cute color of the copper tea kettle attract us. For your tea time or cooking, the copper kettle of Azmaya works hard! 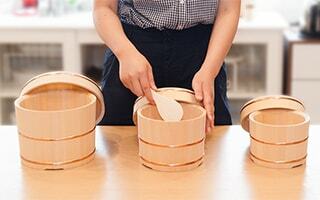 Many professional cooks use copper pans or pots. It is because copper has some great features. Here, let us introduce the great features of the copper kettle of azmaya. The first and the best feature of copper is high thermal conductivity. When you warm the kettle over open fire, the bottom and the whole kettle become hot. 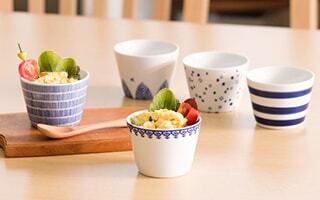 So, you can boil hot water soon. Copper has metal effect in minute amount. 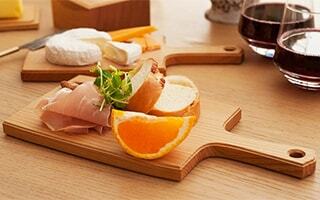 It has antibacterial and sterilize effect. 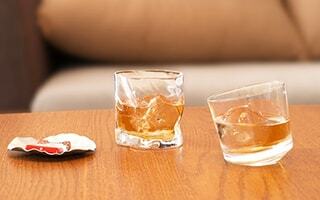 Copper has an effect to dissolve chlorine. Therefore, copper is an excellent material for the kettle. 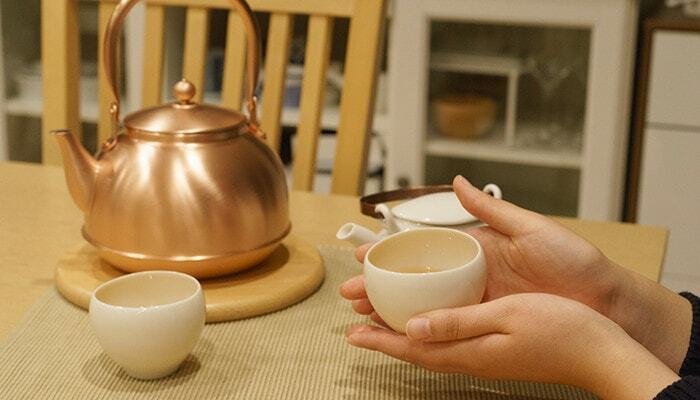 With the copper tea kettle, you can make delicious hot water. The water boiled with the copper kettle is good to our health. Also, it is said that copper is hard to cause metal allergy. People have used copper items for a long time. 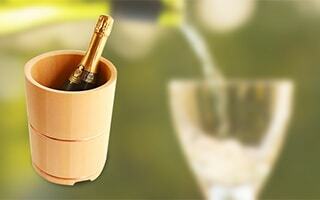 A traditional material copper fits our modern life gently. Cute bottom swelled form. Spheric knob can spin. It makes cute sounds when you swing it. 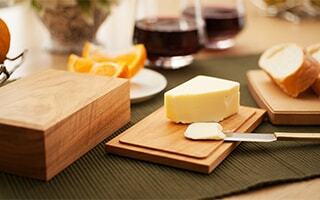 The handle has gentle carve and thickness. It fits our fingers well. At first, you may feel that it is hard to move the handle. However, it will become easier to move it as you use the copper kettle. When you boil water, please stand the handle. 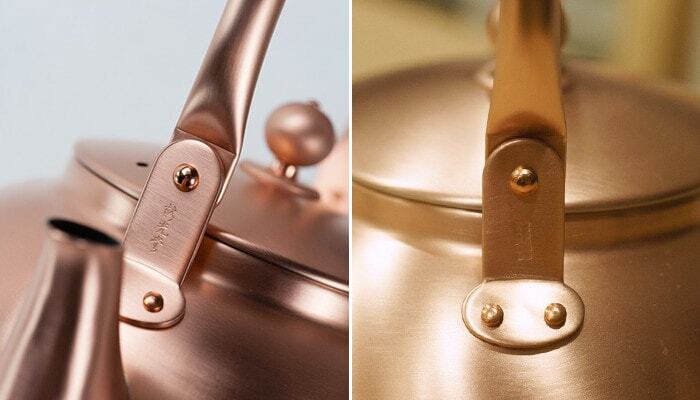 Since copper has high thermal conductivity, please touch the handle or knob of the copper kettle with cloth or pot holder. 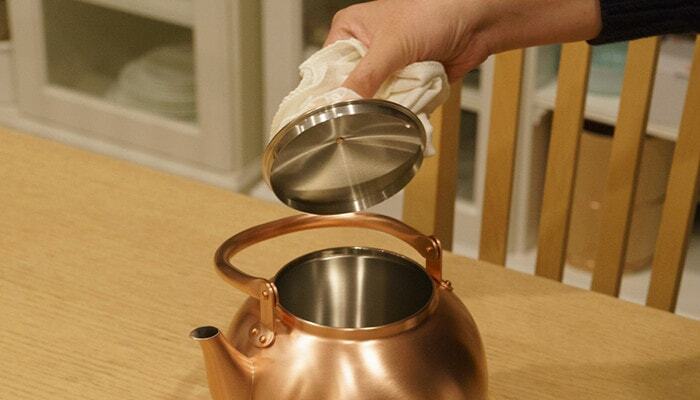 Even this work is sweet for the cute copper tea kettle. Kettle is an item always in kitchen. Cute copper tea kettle of azmaya makes you happy every time. Copper kettle gets its taste as you use it. The kettle gets more stylish and nostalgic atmosphere. 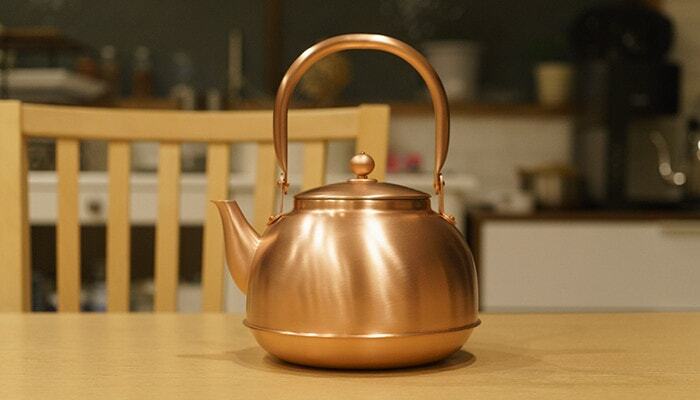 Please put this copper tea kettle in your room. The copper kettle of Azmaya will satisfy you with its stylish form and usability. 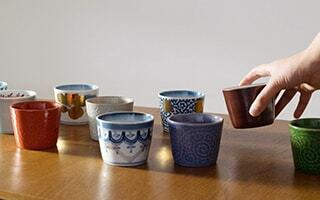 In Japanese, kettle is “Yakan.” In kanji, Yakan is medicine + can. In fact, Yakan was used to extract medicine. We have no idea when Yakan becomes an item to boil water. 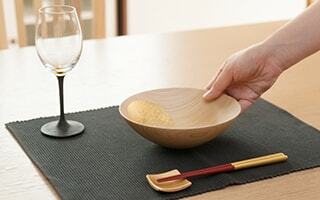 But in Japan, people have used Yakan since 700 years before. 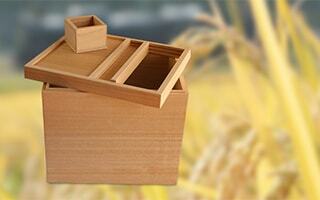 Yakan is a standard item for daily life for a long time. The biggest difference of electronic kettle and the copper tea kettle is copper kettle can be used over open flame. 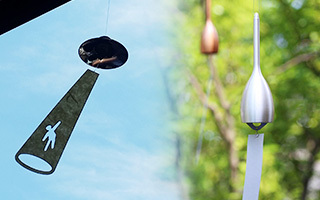 In cold winter, we recommend using the copper tea kettle on the blue flame heater. 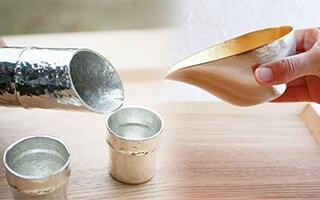 If you boil water with copper kettle on the oil stoves, you can warm the room, boil water, and moisturize the room. Recently, an oil heater Blue flame heater of Aladdin has been popular. For a stylish heater, stylish copper kettle fits well. The copper tea kettle of Azmaya can be a stylish interior item. If you have oil heater or blue flame heater, we recommend this copper kettle with it. * The maker does not recommend using copper kettle on the heater from the view point of safety. We kindly ask for your understanding. When you use the copper tea kettle on the oil stove or heater, please be careful of dry heating and dropping. You may think so, but do not worry! The care of a copper tea kettle is just same as the usual kettles. Put water and warm over open fire. However, please do not forget this one tip. It is as same as the usual kettles, but please avoid dry heating. Copper has high thermal conductivity. When you heat an empty copper kettle it becomes extreme hot. Then, the welded spout may come off. When you boil water, please fill water at least by the place where the mouth of the spout sink under the water. However, by any chance the spout comes off, the maker can repair it. If you need repair, you need to pay the cost of shipping and repair. Please contact us about the details. Copper tea kettle is a life-long item. So, it is a great gift for who starts new life. 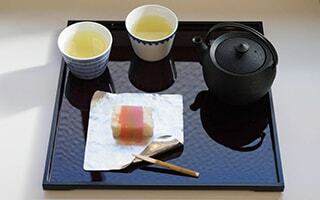 Of course, the high-class kettle is reward for yourself. The copper kettle of azmaya spends the time together with you. 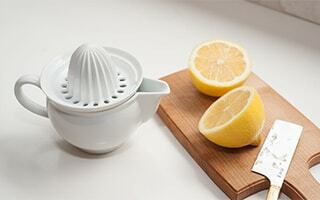 Kettle is a standard kitchenware. You can grow your own copper kettle by using it. 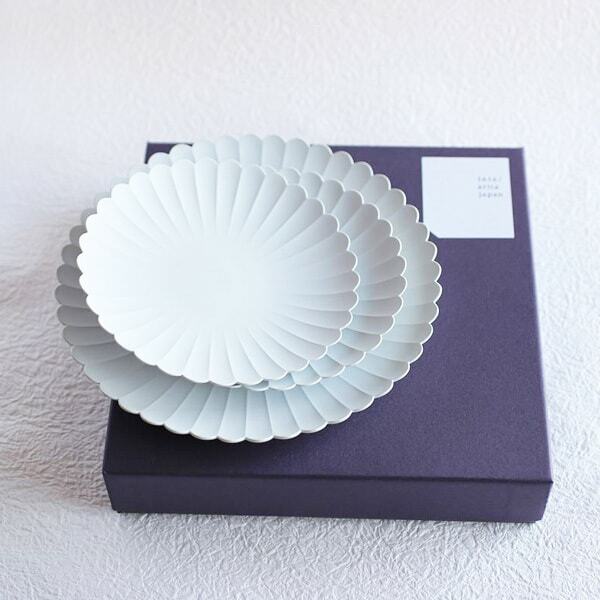 It will be an antique. 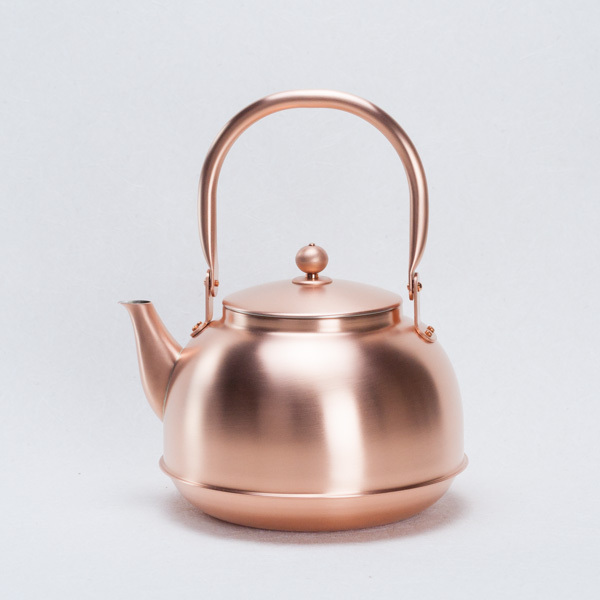 For your dearest person, or tea lovers, copper tea kettle would be the best present! Please have a wonderful time with this copper tea kettle of Azmaya. * You cannot use the copper kettle over induction cooktop. 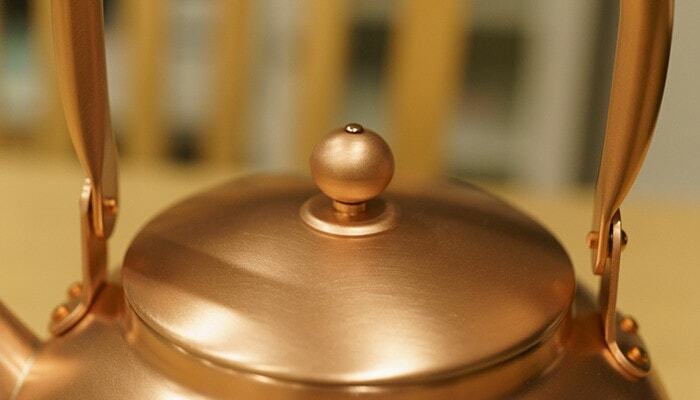 * No antioxidant finish is applied to the surface of the copper kettle. 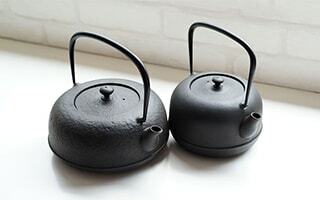 Therefore, the surface of the kettle may be oxidized a little when you open the item at first. But it is no problem. Please enjoy the unique texture of copper. * Boiling the teapot dry is dangerous. Please avoid it. 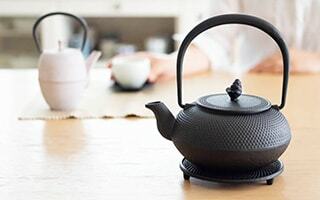 When the spout becomes extreme hot, the heating may cause the breakage such as coming off the spout, ablation of the gilt inside, or transformation of the kettle. In addition, dry heating may cause serious incident such as fire. 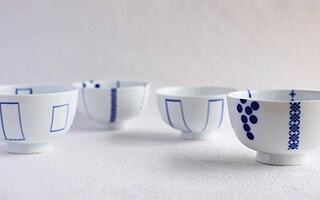 * Please fill water at least by the place where the mouth of the spout sink under the water. When the mouth of spout becomes extreme hot, the spout may come off. Also, it may cause the gas leak by the going out of fire. * Please avoid filling water to the brim. By the boiling and swelling water, hot water may boil over. Please note that seven or eight tenths water may boil over depends on the heat control. * Please do not touch the handle with your hand directly when the kettle is being heated, or soon after heating. The handle is very hot. Please use cloth or pot holder. * Please do not heat the kettle without lid. A large quantity of steam may cause burn or scald. * Please set the copper kettle stably at the center of the gas stove. * Please adjust the heat that the flame does not over the bottom of the kettle. * Please be careful of the flame of other burners. If the flame of other burners heats the handle or spout of the kettle, it may cause the burn or the coming off of the spout. * When you pour hot water as soon as it boiled, the hot water may spray. * Please do not cool the pot rapidly when you boil the kettle dry, or make strong impact. The steam or water drop by rapid cooling cause serious burn. * If you leave the copper tea kettle with moisture, the copper kettle may be patinated. The patina is harmless to human body. Patina does not dissolve in water even you boil the water. 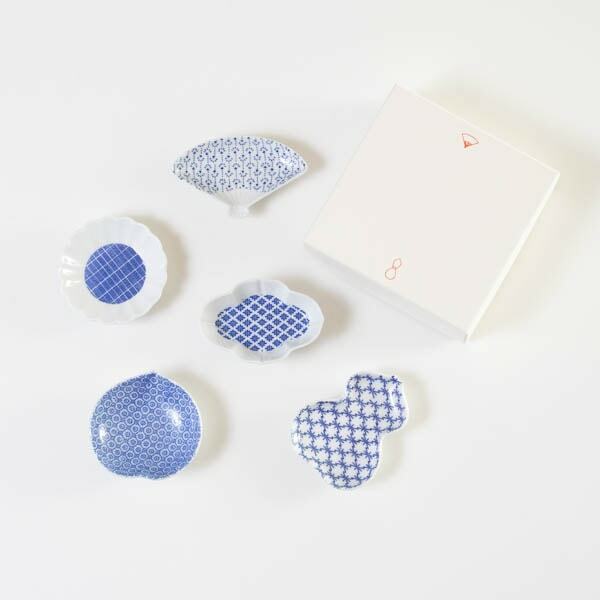 By any chance you take in the patina, it will be discharged from your body, not be absorbed. 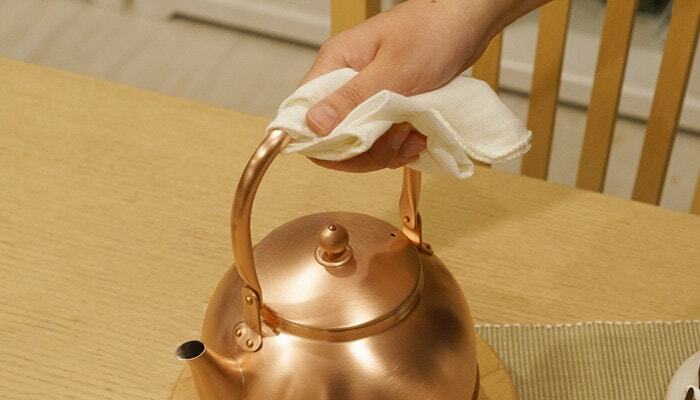 * After use, please wipe off the water and dry the copper teapot. When you wash it, please use a soft sponge. * Please avoid using metal scouring brush or cleanser. * The patina is harmless to human body. If you would like to remove it, mix same amount of vinegar and salt (or more salt a little), and put it to a cloth. Please polish the copper kettle with the cloth with the liquid. After polishing, rinse it with water, wipe the moisture, and dry it.